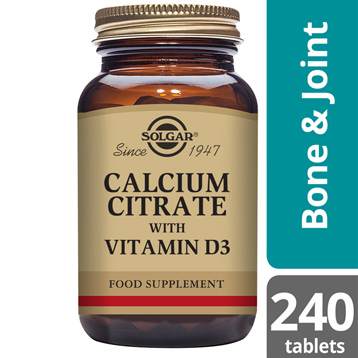 Solgar has developed a high potency formula combing calcium citrate with Vitamin D3. 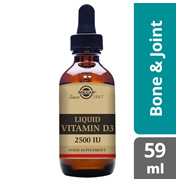 Calcium absorption requires Vitamin D, a fat-soluble vitamin. Calcium is required in the diet for strong and healthy bones, and teeth. 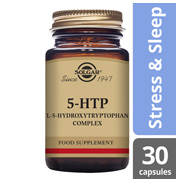 Ingredients: Calcium (as citrate), Bulking Agents: (microcrystalline cellulose, dicalcium phosphate), Anti-caking Agents: (silicon dioxide, vegetable magnesium stearate), Cross-linked Cellulose Gum, Glazing Agents: (hydroxypropylmethyl cellulose, vegetable glycerin (palm kernel oil)), magnesium silicate, vegetable magnesium stearate), Colour: titanium dioxide, Vitamin D3 (cholecalciferol). 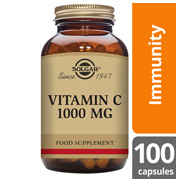 Solgar has developed a high potency formula combing calcium citrate with Vitamin D3. 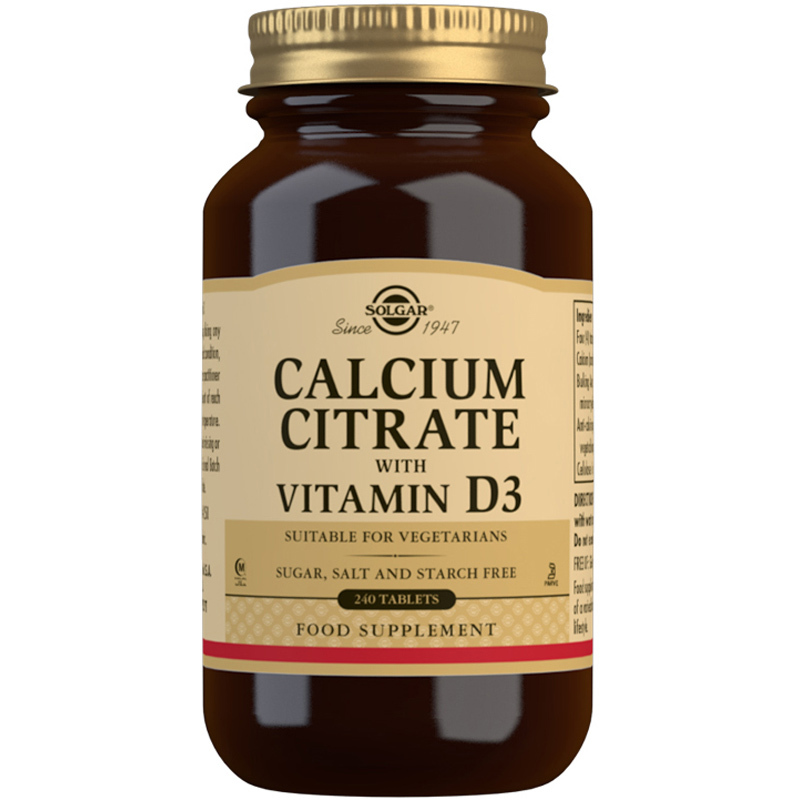 Calcium absorption requires Vitamin D, a fat-soluble vitamin, and by combining these in one formula, you are guaranteed to get great value from this supplement. 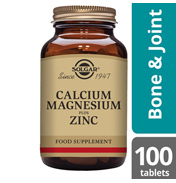 Calcium is the mineral which is most present in our body and is stored mainly in our bones. 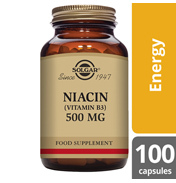 It is required for strong and healthy bones, and teeth. As we age the absorption of calcium decreases, so there's even more reason that we should make sure we have enough calcium in our diet by eating dairy products such as milk, yogurt and cheese. Intake of adequate Calcium levels as part of a healthy diet, along with physical activity, may reduce the risk of health concerns connected with bones in later life. 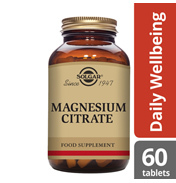 When we are not able to reach adequate levels of calcium through our diet, a supplement might be advisable. 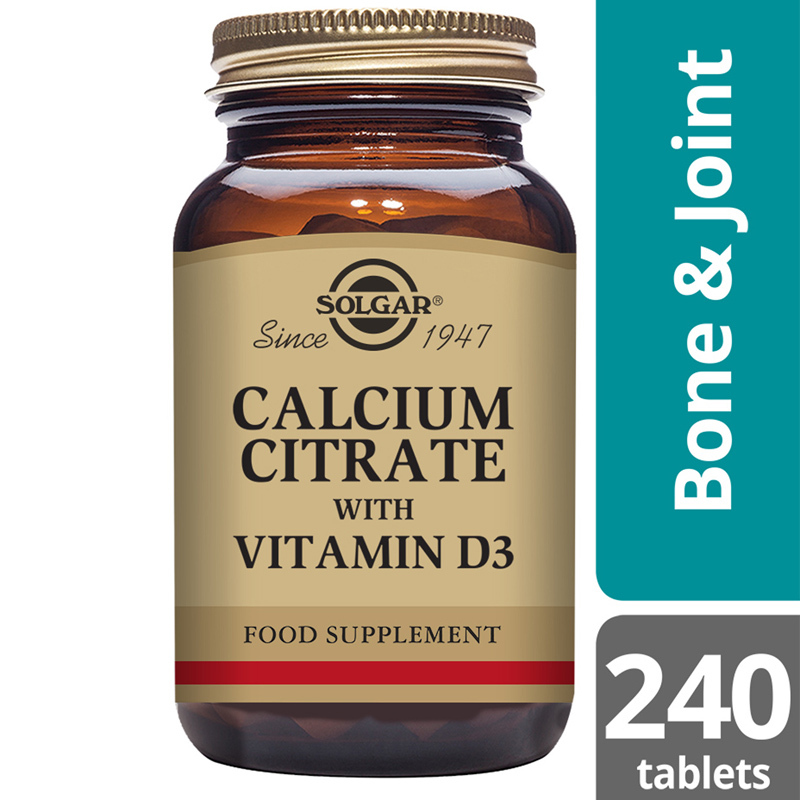 Solgar® Calcium Citrate with Vitamin D3 product is available in a citrate form; a highly absorbable form of minerals compared to the more commonly available oxides and is therefore ideal for those with digestive issues. 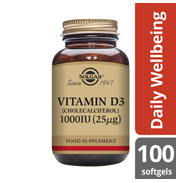 Vitamin D3 is a form of D that is easy for the body to use and assists the efficiency of calcium to be absorbed by the body. 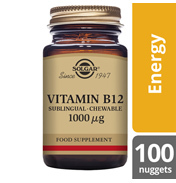 Known as the "sunshine vitamin" the benefits are numerous and well documented and have long been associated with optimal bone health. 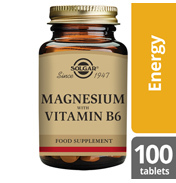 Calcium (as citrate), Bulking Agents: (microcrystalline cellulose, dicalcium phosphate), Anti-caking Agents: (silicon dioxide, vegetable magnesium stearate), Cross-linked Cellulose Gum, Glazing Agents: (hydroxypropylmethyl cellulose, vegetable glycerin (palm kernel oil)), magnesium silicate, vegetable magnesium stearate), Colour: titanium dioxide, Vitamin D3 (cholecalciferol). 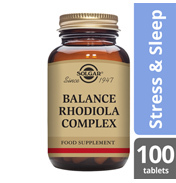 As a food supplement for adults, two (2) to four (4) tablets daily, preferably at mealtime, or as directed by a healthcare practitioner.